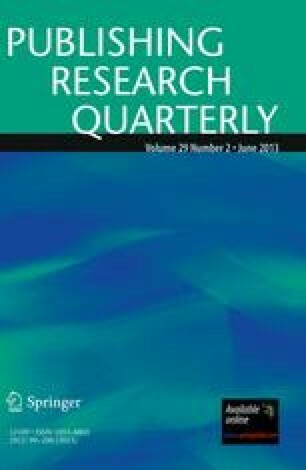 Based upon empirical research, and using a range of methods, this paper examines the behaviour and experiences of consumers in online bookselling settings and offers comparison between online and offline (traditional) bookselling. The research finds that while the convenience of online bookshops is important, the key factors enticing consumers online are a combination of breadth of range, ease of access to obscure titles, as well as ‘personalised’ recommendations and customer reviews. The research is of value to the book trade, highlighting consumer responses to widely adopted online marketing approaches. The research also contributes to scholarly knowledge in the fields of consumer behaviour, e-marketing and e-commerce in online bookselling, as well as providing findings which can be tested in other online settings, informing future theoretical research. Amazon. Introducing the all-new Kindle—only £89. 2011. Accessed 5 Jan 2012. Available at: http://www.amazon.co.uk/gp/press/pr/20110928/ref=amb_link_158998707_9?pf_rd_m=A3P5ROKL5A1OLE&pf_rd_s=center1&pf_rd_r=1B9DXSTSZADFFCQ79KD1&pf_rd_t=2701&pf_rd_p=269058027&pf_rd_i=home-2011. Anderson C. The long tail. 2004. Accessed 29 May 2008. Available at: http://www.wired.com/wired/archive/12.10/tail.html. BBC. Waterstone’s to launch e-reader. 2011. Accessed 18 Nov 2008. Available at: http://www.bbc.co.uk/news/technology-14841692. Book Marketing Limited. Book facts online. 2007. Accessed 18 Nov 2008. Available at: http://subscribers.bookmarketing.co.uk/bookfacts/bookfacts.htm. Google. Discover the world’s largest selection of ebooks. 2011. Accessed 6 Jan 2012) Available at: http://books.google.com/help/ebooks/overview.html. Jones P. Charting the global e-book market. 2011. Accessed 18 May 2011. Available at: http://web.ebscohost.com/ehost/delivery?sid=56aa510f-e5c9-4be1-996d-8ba0015259e0%40sessionmgr115&vid=6&hid=125. Key Note. Bookselling. 2008. Accessed 27 June 2008. Available at: http://keynote.co.uk. Key Note. Bookselling. 2010 Accessed 13 April 2011. Available at: https://www.keynote.co.uk. Mintel. Book Retailing. 2007a. Accessed 14 Aug 2008. Available at: http://www.reports.mintel.com. Mintel. Book Retailing. London: Mintel International Group Limited; 2007b. Accessed 4 July 2008. Available at: http://www.reports.mintel.com. Mintel. Books. UK. 2009. Accessed 13 April 2010. Available at: http://www.reports.mintel.com. Mintel. Books and e-books. 2011. Accessed 13 April 2011. Available at: http://academic.mintel.com. Publishing News Online. Research into net shoppers—clicks or bricks? 2007. Accessed 8 Feb 2007. Available at: http://www.publishingnews.co.uk/pn/pno-news-display.asp?K=e2007020716024211. Scottish Government. Scotland’s creative industries ‘world leading’. 2010. Accessed 10 Jan 2012. Available at: http://www.scotland.gov.uk/News/Releases/2010/09/27115555. UK Government. Creative industries. 2010. Accessed 10 Jan 2012. Available at: http://www.culture.gov.uk/what_we_do/creative_industries/default.aspx.